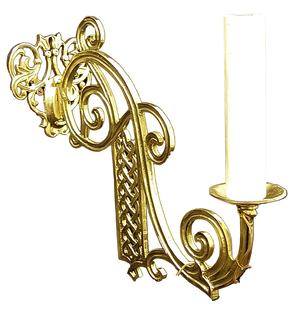 Church wall lamp - 402-1 (arm from PAK-003) (for 1 light) - Istok Church Supplies Corp. Excellent church wall lamp. A copy of the XVIII-XIX cent. Brass, casting and hand-polishing. Size: 17.7'' (45 cm), height: 17.7'' (45 cm).